Its a farm. We have a mix of methods of keeping their numbers in check...a box constructed to hold two snap traps is the best way we have used. And still. They get to stuff. Of these two items: Ivory soap and fireside marshmallows, which will the mice eat? 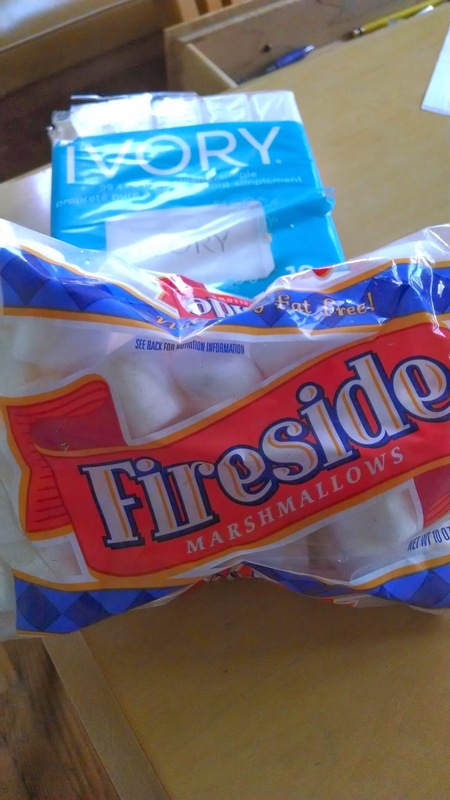 In the fall we will get a couple bags of marshmallows, some graham crackers and chocolate bars. So the roasting marshmallows on a stick over the fire and construction of smores happens. 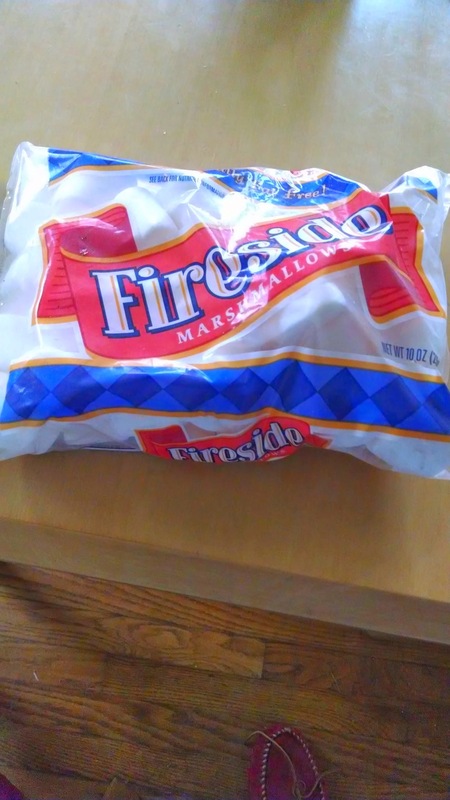 A bag of marshmallows was not opened last season. 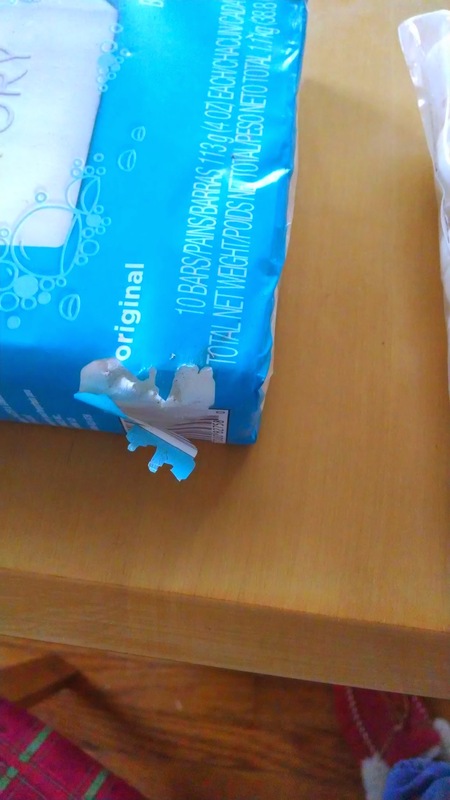 They are still soft 4 months later. 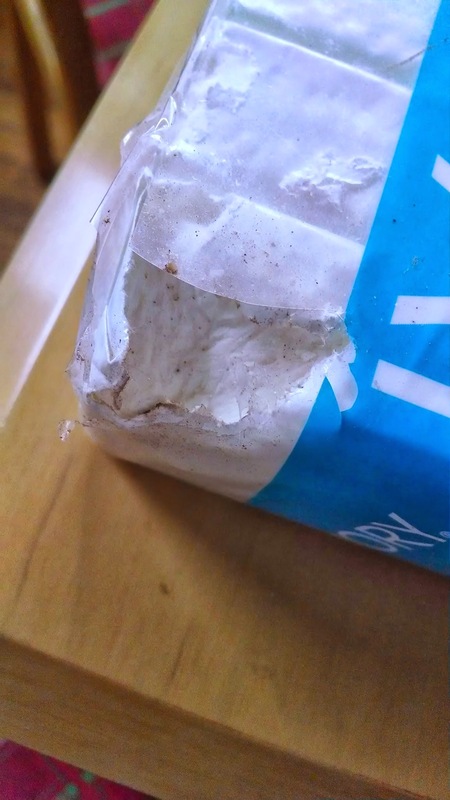 The mice chowed down on it. In more than one spot. As a kid I had my mouth washed out with soap. For, you know, using words a kid shouldn't use. I still avoid soap in my mouth, as I don't like the taste or texture. But this extremely unscientific experiment makes me curious. What made the mice select the soap instead of the marshmallows?! I mean yuck. What do they know? !